I love a good wedding and add to that a Royal Wedding, well I’m beyond it excited for Prince Harry and Meghan’s wedding on Saturday. It’s taking place at one of my favourite places, Windsor Castle and of course I can’t wait to see the dress. A wedding dress for any bride is a big decision, with all those eyes on you. But I can’t imagine what it must be like to have a whole nation looking and talking about what you choose in such detail. I’m sure she is going to look amazing. To get into the spirit of the Royal Wedding, Holly and I had a little tea party in the garden. We were kindly sent some gorgeous wedding bits from Amazon Handmade, which has a lovely wedding shop that I wish had been around when Andy and I got married. 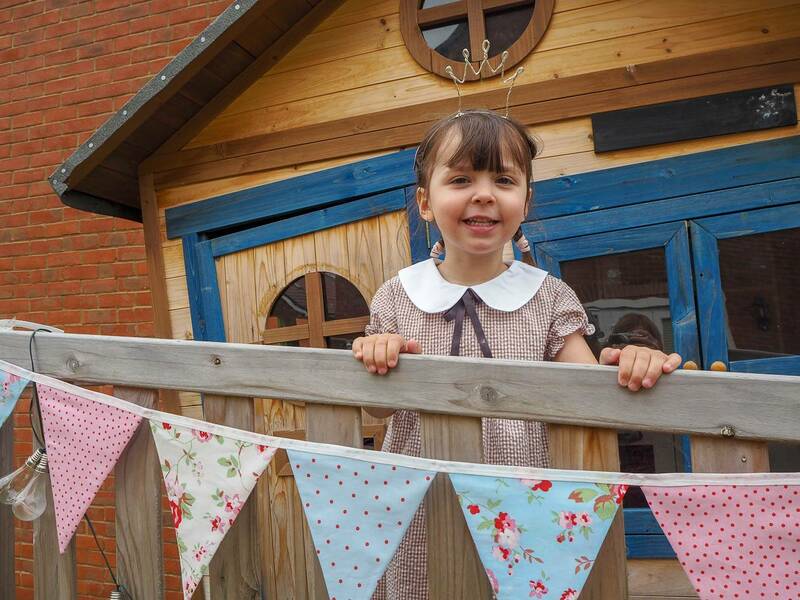 Holly wanted to turn her treehouse into the castle and we put up the beautiful bunting that we were sent, this really set the scene for our royal tea party. 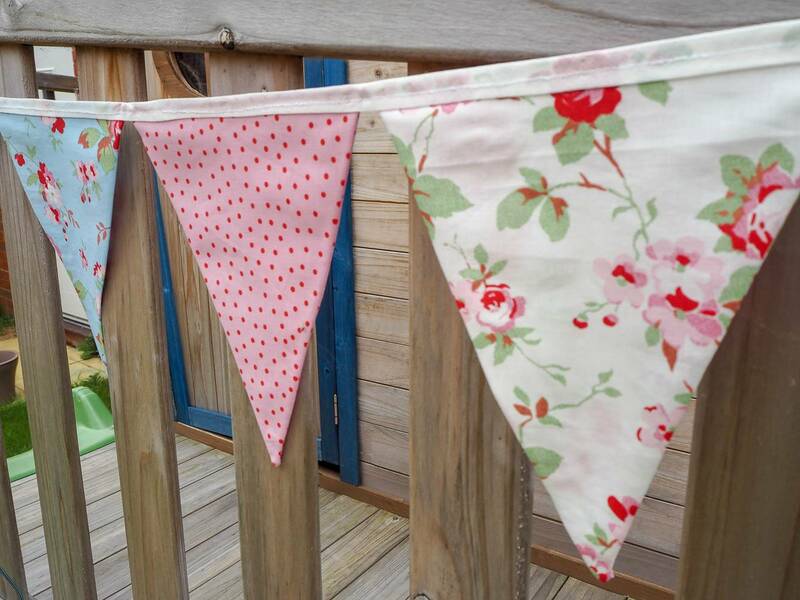 I love bunting and this is beautifully made and gorgeous patterns on each triangle. It fitted perfectly across the front of her ‘castle’. 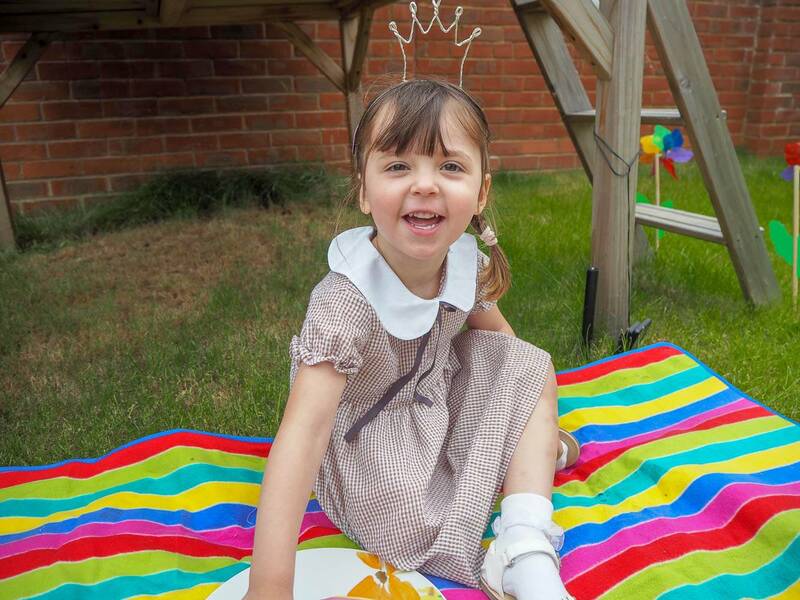 Of course no Royal tea party is complete without a princess and Holly couldn’t wait to be crowned Princess Holly. The crown is beautifully made and it fits really comfortably on her head. I think its clear to see from the photos how much she loves it. 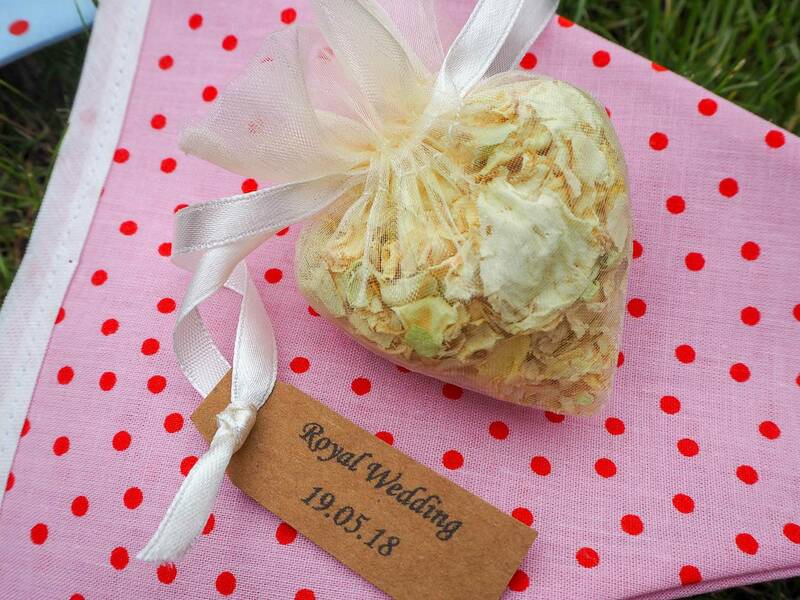 We were also sent some confetti, which came in these gorgeous heart shaped bags, with the date of the wedding on a tag. 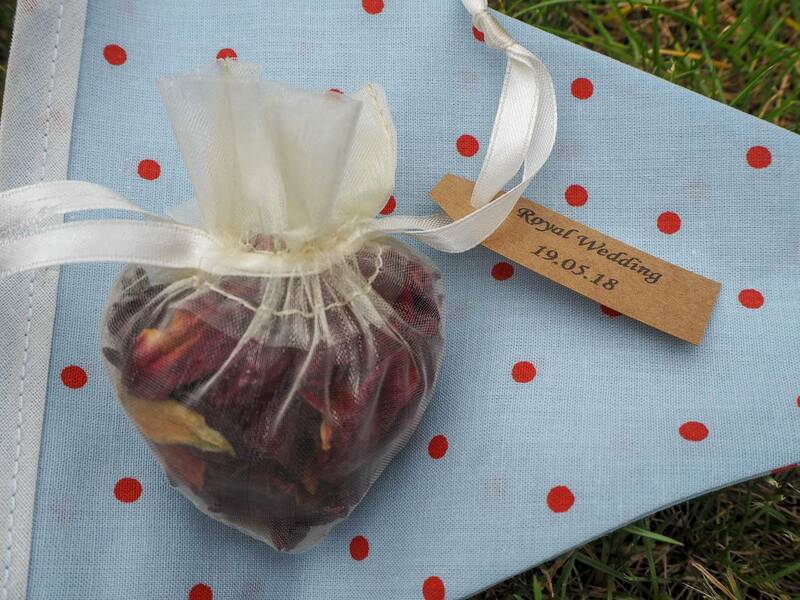 These would be lovely to have at your wedding and hand out to people, I love them. 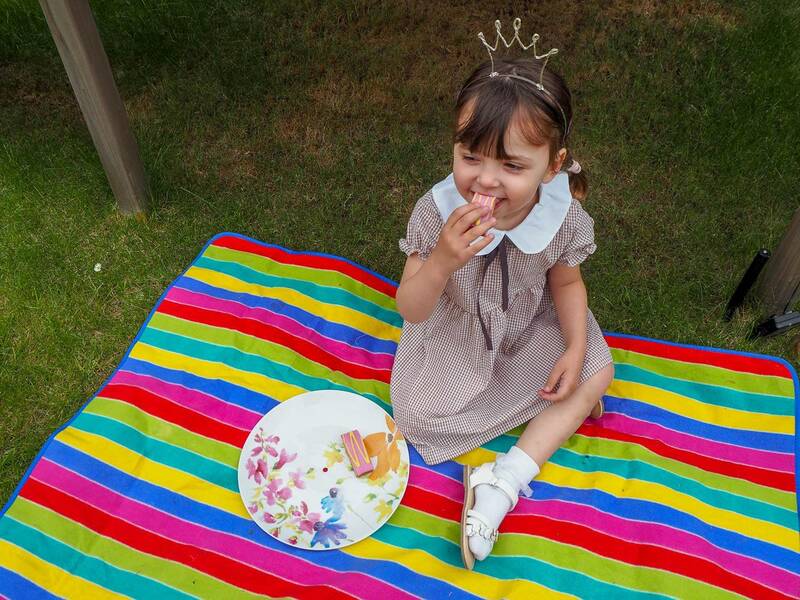 Holly loved our little Royal tea party, it was such a simple idea and they are always the best ones. I mean who doesn’t want to be a princess in their own castle. 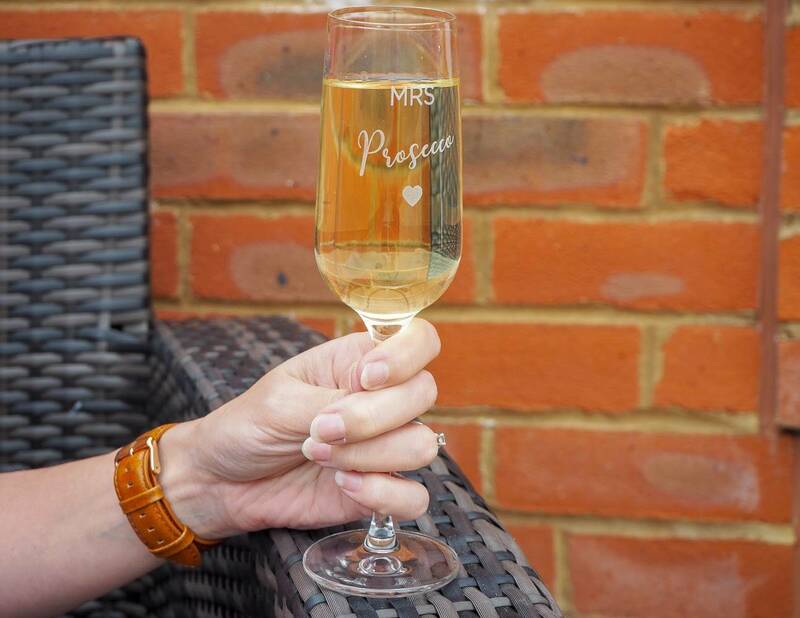 Of course we also love to celebrate a wedding in style and I was sent a beautiful prosecco glass, anyone that knows me will know that this is the perfect glass for me. I love it! Having our own Royal Tea Party has got us even more in the mood for this Saturday’s Royal Wedding. We’re off to my cousins for a tea party and to watch the wedding in the sun (hopefully). I’ve read that Meghan is spending the night before her wedding at Cliveden House, a beautiful choice it’s stunning. I’m sure she will be full of nerves and excitement just like every bride. Are you going to be watching the Royal Wedding? Disclosure: This is in collaboration with Amazon Handmade. Previous Post: « How Will You Cope When Your Kids Fly The Nest? Aww this is so lovely! Such a sweet idea to decorate her tree house! I hadn’t heard of Amazon handmade, will check it out because I love handmade items. I am not sure I will be watching the Royal Wedding ceremony itself but I definitely can’t wait to see her dress. 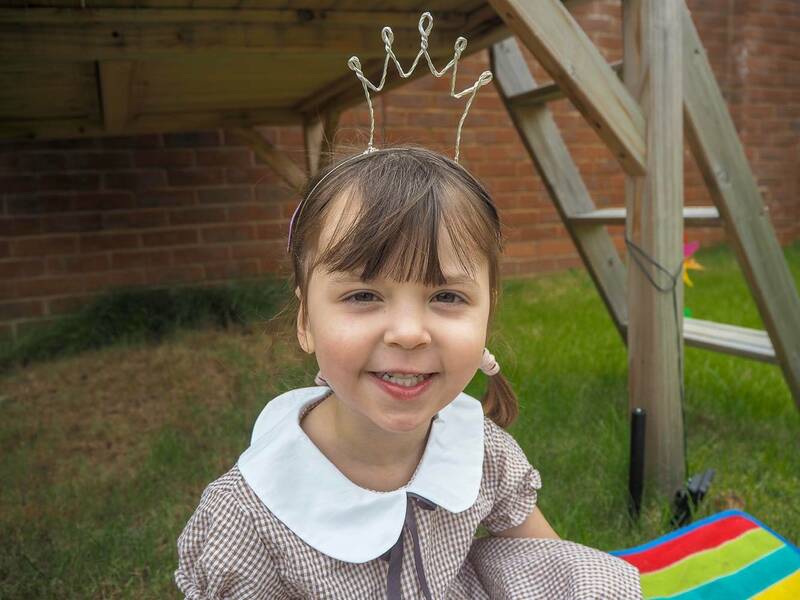 Lovely – any excuse to have a little celebration and I just love it when the children can get involved too! 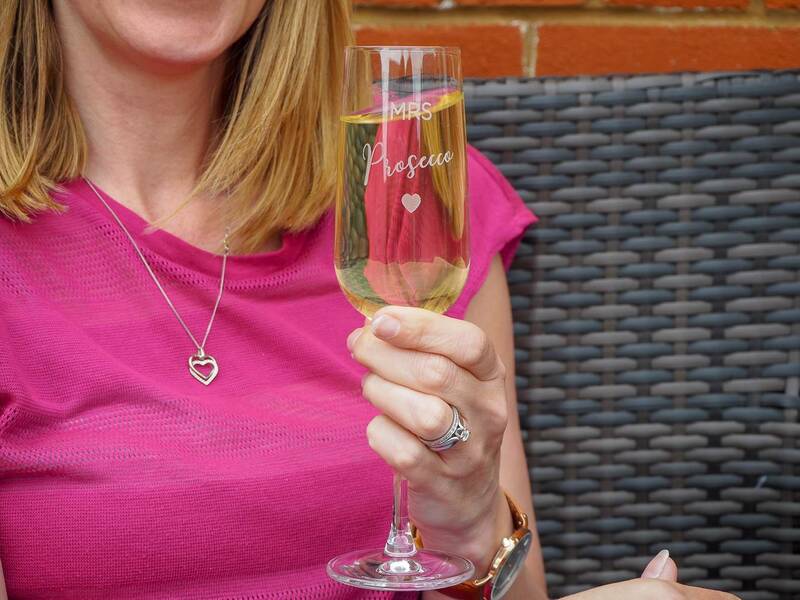 Love the champers glass! Ooh I hadn’t heard of Amazon Handmade before – sounds right up my street! 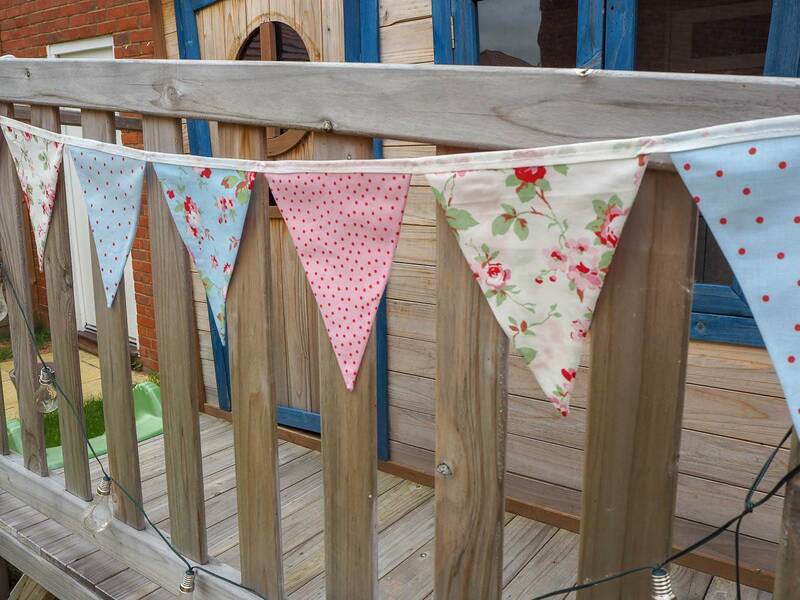 The bunting is gorgeous – I think I’ve used some of the same fabric to make myself a cushion! Ha ha. The crown is super cute too. So much lovely excitement for the royal wedding.